Plenty of foam on the western shore on a morning in windy, wet and mild early January. Water has a skin like membrane at its surface (surface tension) that allows insects to ‘walk’ on water. When leaves, reeds, small branches or other organic substances fall into water and decompose (especially in autumn) , they release compounds known as surfacants. The surfactants help to break the surface tension, which allows air to more easily mix with water and creates bubbles. 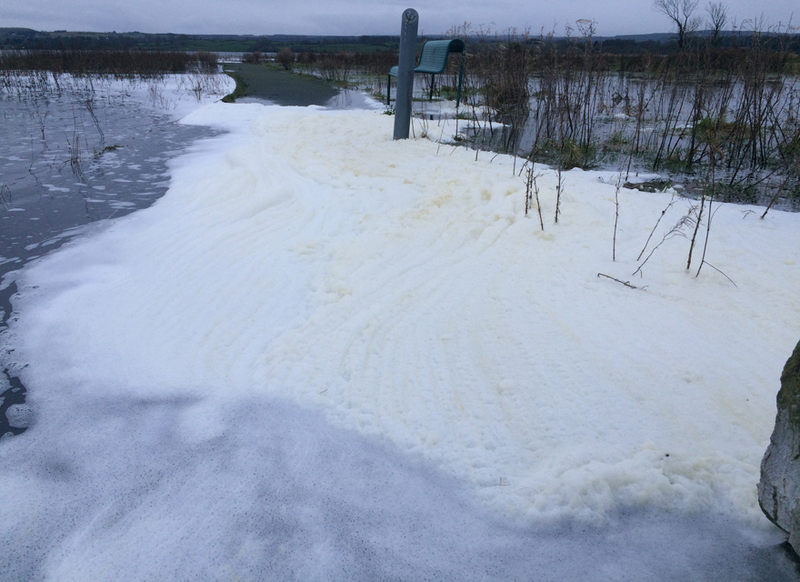 In windy weather, in particular, these bubbles congregate as natural foam. 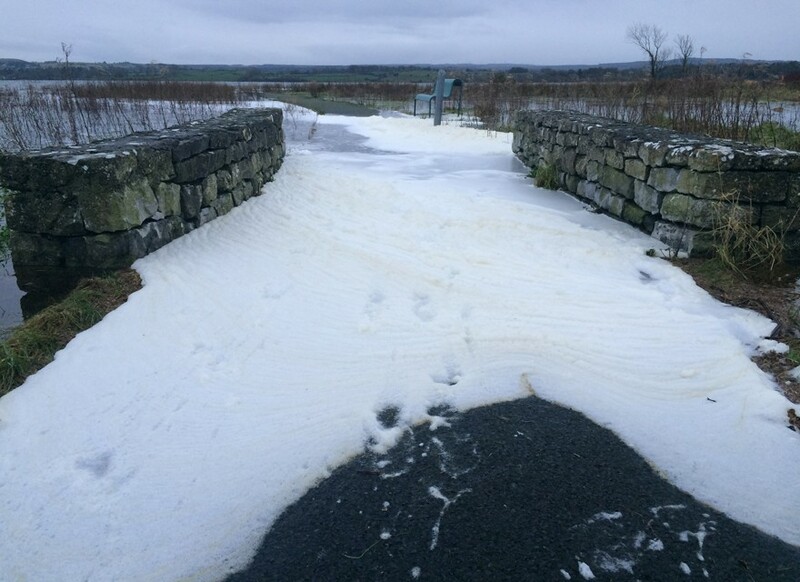 Unfortunately not all foam occurs naturally – some man-made products, including detergents, can produce foam that is similar in appearance, but may be harmful to fish and other aquatic life. The foam is generally harmless. Only 1 percent of the foam you see on a waterbody is the foaming agent; the rest is air and water. 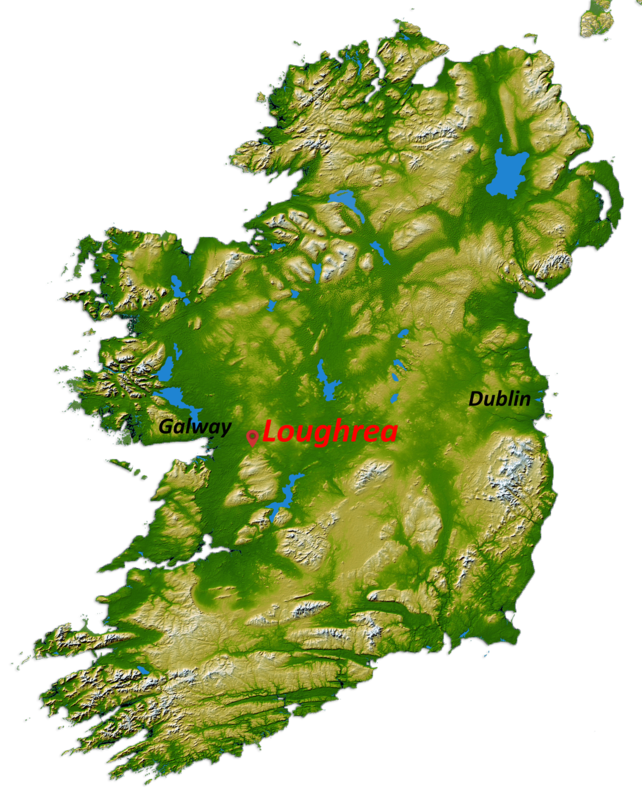 Unfortunately, however, excess foam is sometimes the result of too much phosphorus in the water, which although it is an important plant nutrient, it is not found abundantly in nature and too much of it is an indicator of pollution from human activities. So which type of foam is in the pictures ? My guess is both ? Natural foam is usually light brown but can be white and smells earthy and will dissipate fairly quickly. Unnatural foam is white and has a soapy or fragrant odour.